In 2006, a groundbreaking feature-length film revealed the great mystery of the universe - The Secret. 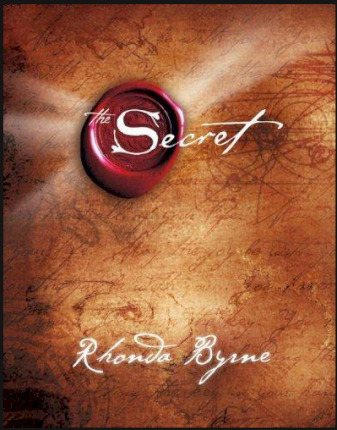 Later that year, Rhonda Byrne followed with a book that became a worldwide bestseller. The Secret contains wisdom from modern-day teachers - men and women who have used it to achieve health, wealth and happiness. By applying the knowledge of The Secret, they bring to light compelling stories of eradicating obstacles, and achieving what many would regard as impossible. Discover the book which has been changing millions of lives around the world. No matter who you are, where you are right now, no matter what you want - when you realise The Secret you can have anything. Rhonda began her journey with The Secret film, viewed by millions across the planet. She followed with The Secret book, a global bestseller, available in 50 languages and with over 25 million copies in print worldwide. The Secret has remained on the New York Times bestseller list for over 200 weeks and counting, and was named by USA Today as one of the top 20 bestselling books of the past 15 years. She continued her groundbreaking work with The Power in 2010 and The Magic in 2012, also New York Times bestsellers.